Some people told me that I was crazy to head to Milwaukee for a long weekend in the middle of January. But I wanted to spend time with one of my daughters, and Milwaukee is where she lives so off I went. I found many wonderful things to do in the cold weather. The first thing that my daughter and I did was to head to Mitchell Park for the Winter Farmer's Market at The Domes. Looking like something out of a science fiction movie this indoor garden is comprised of three biomes - The Tropical Dome, The Desert Dome and the Show Dome. ecological niches. The Show dome hosts special events and concerts. In January it was home to a giant model train exhibit. On Saturdays The Domes hosts a wonderful farmers market hosting local farmers and food artisans. The Domes also hosts many cultural events throughout the year. For lunch we went to Milwaukee Public Market.Opened in 2005 at the north edge of Milwaukee's Historic Third Ward, the Public Market is great place for an inexpensive lunch. Home to over 20 vendors of food and other sundries, all of the businesses are local and the food is fresh. I strongly recommend The Green Kitchen. Fresh salads and smoothies, this is the place for a health conscious meal that tastes great. 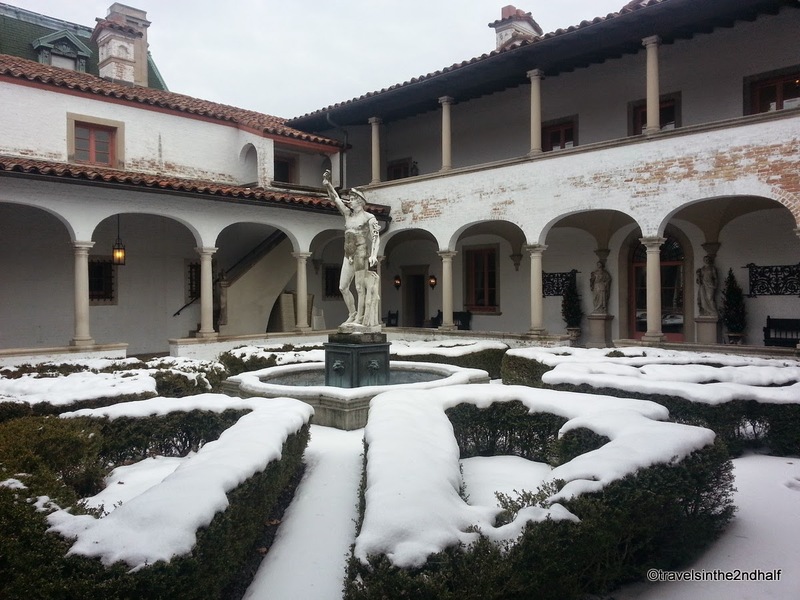 After lunch is was off to the East Side for a visit to the Villa Terrace Decorative Arts Museum. The star of this museum is the villa itself. Built in 1924 for the family of Lloyd R. Smith founder of A.O. Smith Company. 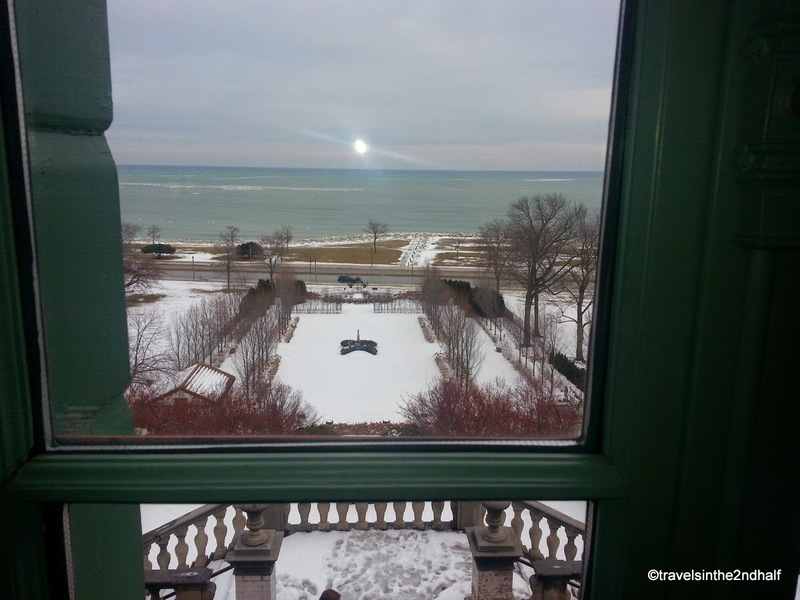 The villa sits on a hill overlooking Lake Michigan and comes complete with a formal garden. The museum houses a permanent collection of decorative art date back 200 years, and also hosts special exhibitions, films, concerts and is available for private events. 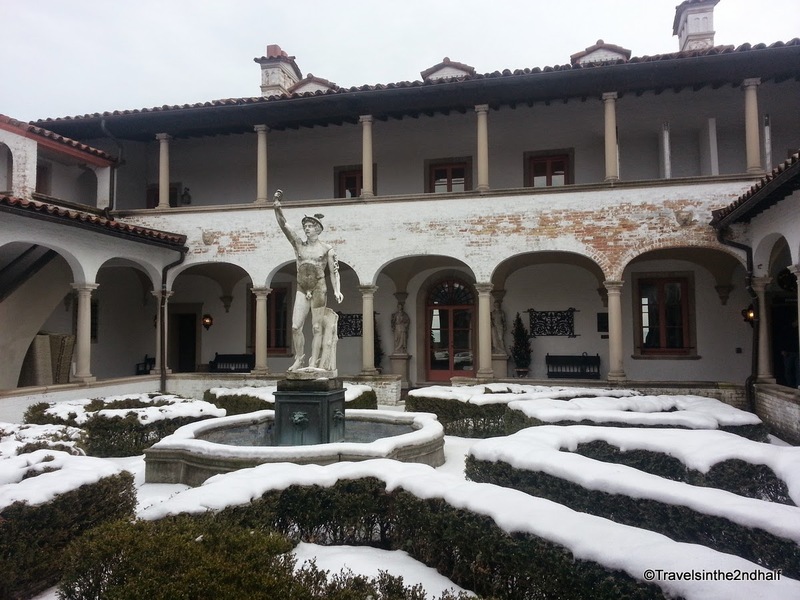 If you have read my blog before, you know that I am not a traveler who frequents fancy hotels. But Hotwire.com's blind reservation service came up with a $49/night deal at the Hilton City Center. Even when you factor in the parking fee and tax it was still around $85/night. This hotel is an old gem that has been beautifully maintained. What could be better for dinner after a winter's day in Milwaukee? Well soup, of course! So off we went to nearby town of Shorewood to enjoy a meal at Toshi Ramen. Walking down the steps to the basement of a non-discrept building, you enter a space that is a tribute to the classic Godzilla movies. Toys, posters, even stickers on clipboards that when they bring you the check, the rubber suited moster is king here. Best of all, Tochi has the best ramen I have had outside of the west coast. The broth was excellent, and pork belly was perfectly cooked. The Pork Bun app is also excellent. Well worth the trip out from downtown. Milwaukee in Winter? There are always fun things to do.